Can you ship my order in one box to reduce shipping costs? Yes. If all items in your order can be packed together safely to prevent damage from occurring while in transit, then we always attempt to use the least amount of shipping boxes for each order. Here at Classic Industries, we are always looking to provide superior service, and help you find the restoration and performance parts you need for your classic car or truck. Searching for these parts should be fast and easy, so we've been working hard to make major improvements to our ClassicIndustries.com search feature. These improvements make searching for parts much more intuitive, allowing you to quickly find the parts you're looking for. That said, here's a list of some of the search feature updates we've added for 2016. 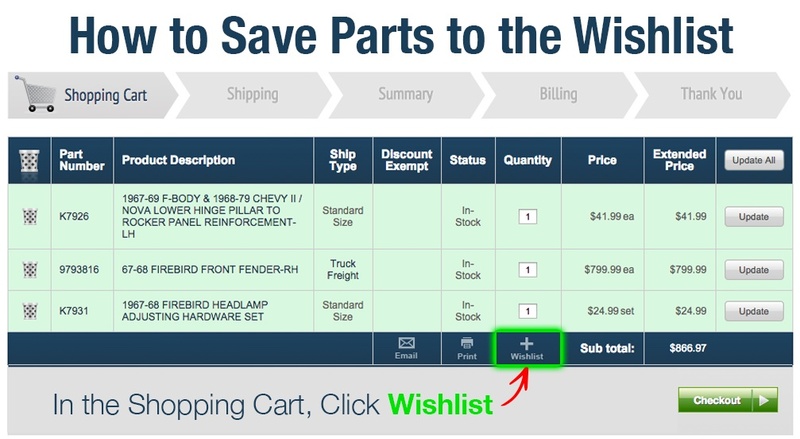 Next time you search for restoration parts on our web site, keep these new tips and tricks in mind! Problems with Our Site? Try Resetting Your Cookies. Are you experiencing problems with our site? If so, try resetting your cookies. When using our web site and receiving unexpected results, most errors can be fixed by resetting your browser's cookies. This is a simple process, and only takes a few minutes.